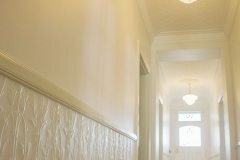 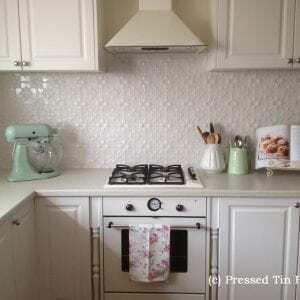 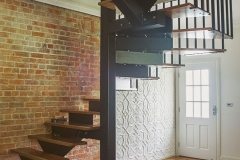 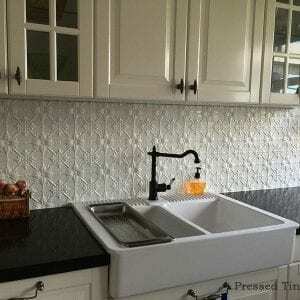 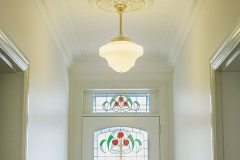 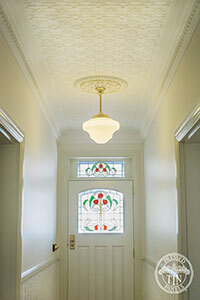 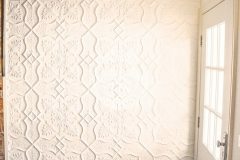 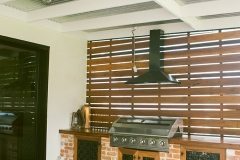 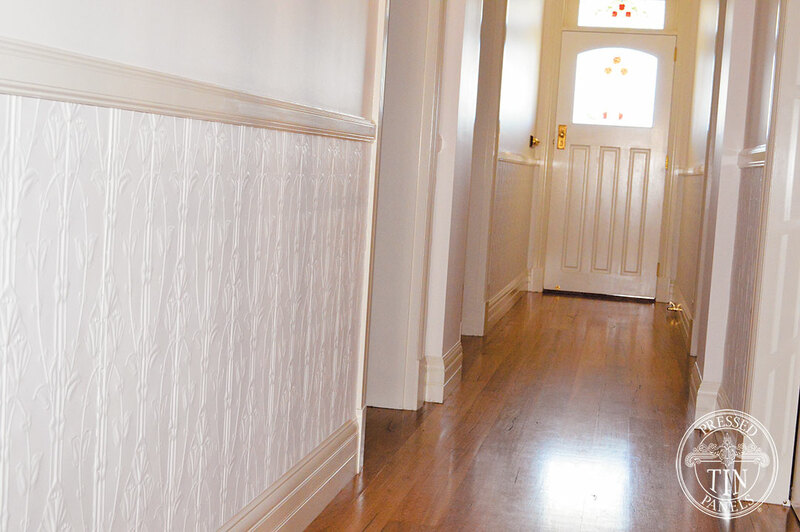 The following Pressed Tin Panels® products feature in this wonderful home renovation. 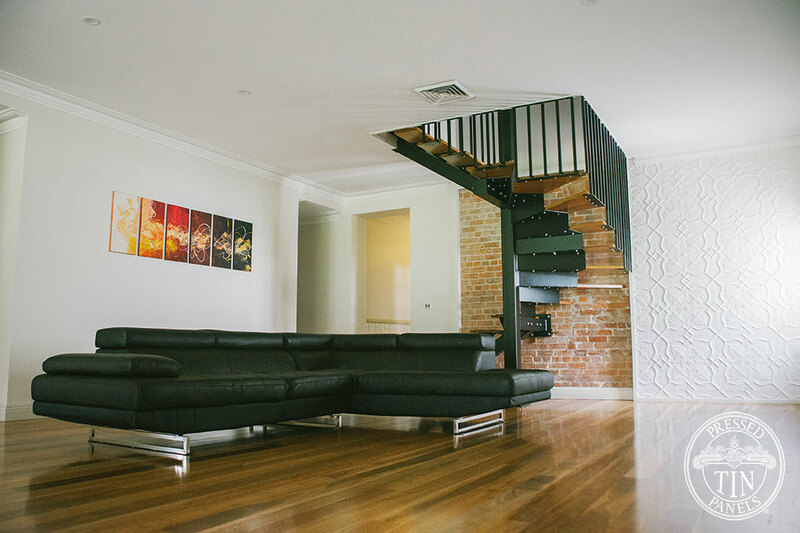 The 12-month renovation and extension ensured the property received a complete makeover. 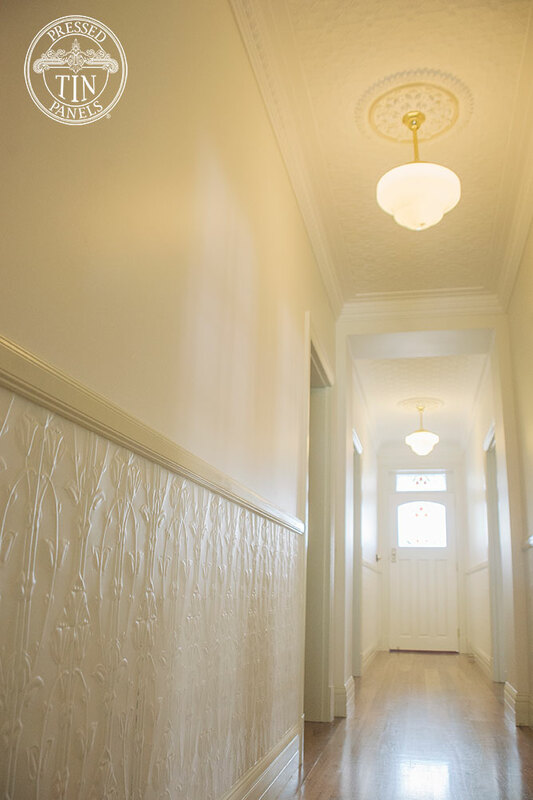 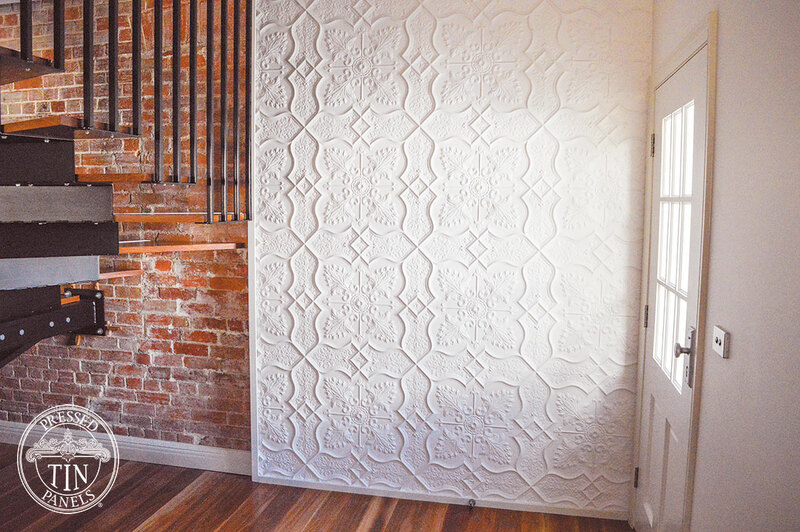 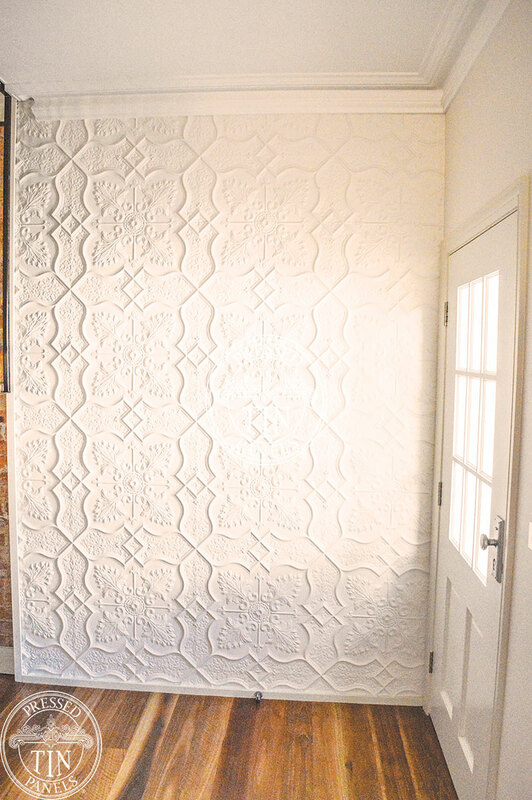 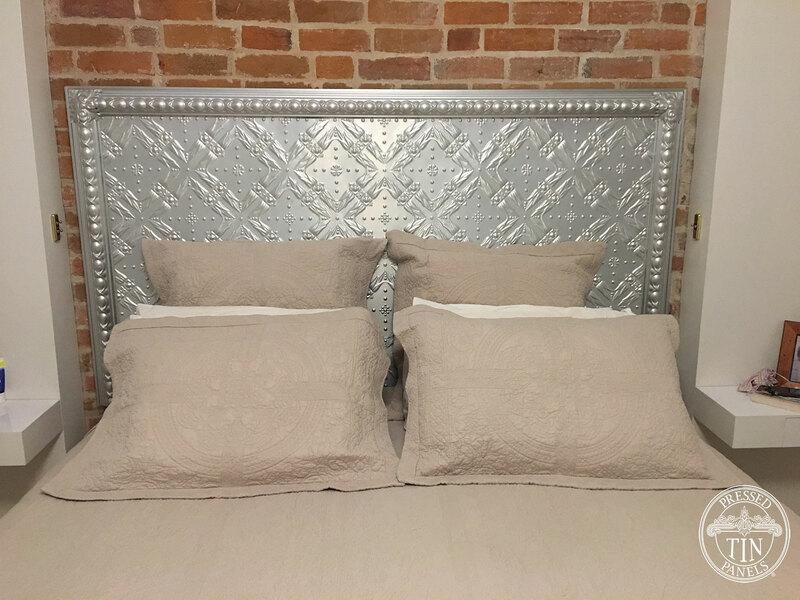 The local couple turned to Pressed Tin Panels® to provide accent pieces throughout the home. 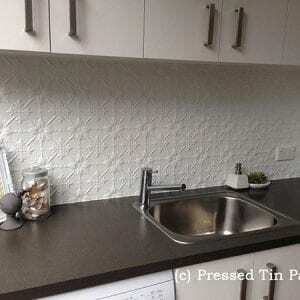 “We were originally looking for pressed metal panels for a kitchen splashback, but once we saw the range of patterns and products on offer at the Bathurst showroom, we realised there were so many other uses for this versatile product,” Jayne explained. 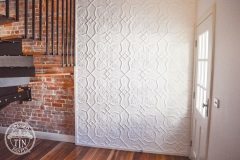 “At this point, we have used it down the hallway of the old part of the house, while we have also used it as a striking feature wall to bring the two sections of the house together. 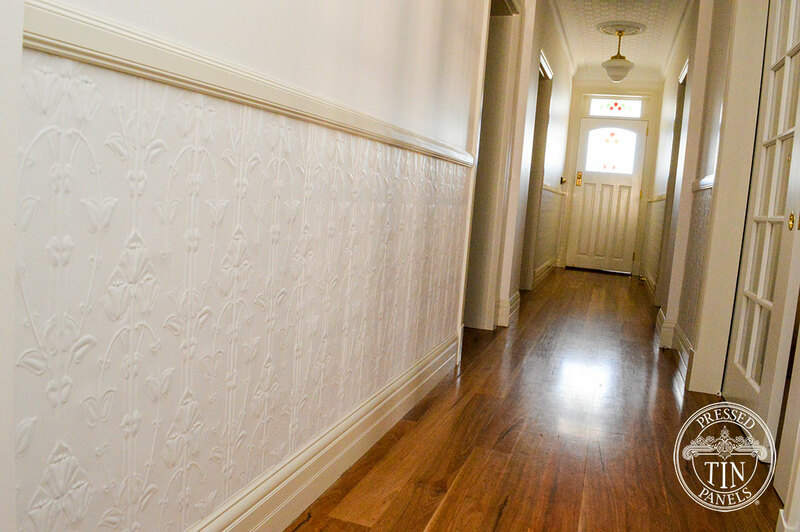 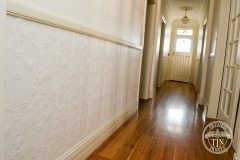 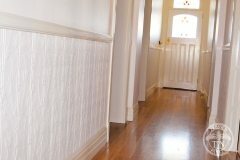 Jayne said the feature wall has enabled the couple to match the history of the house, with contemporary styling –blending the old with the new. 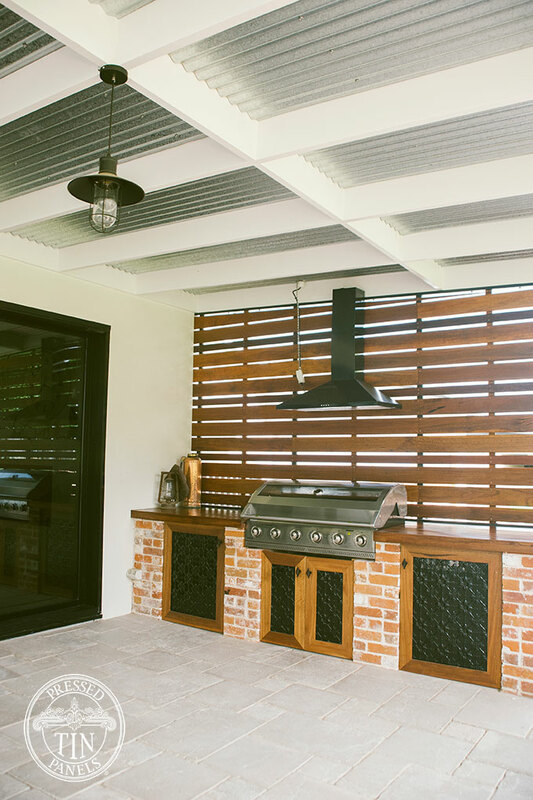 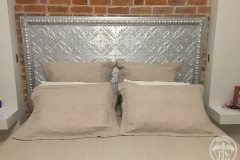 “It has been a great addition to the design of the property and the team at Pressed Tin Panels ® have been so easy to deal with in delivering the products and patterns to bring out the best in the house,” Jayne added. 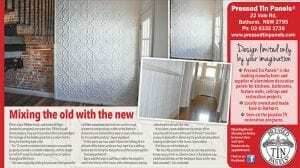 And they weren’t finished there! 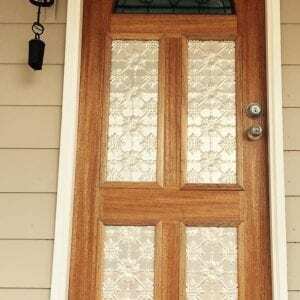 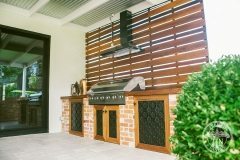 They came back and ordered a feature piece for the bedroom – a pressed metal bedhead and have also installed some pressed metal in the barbeque doors on the new back verandah. 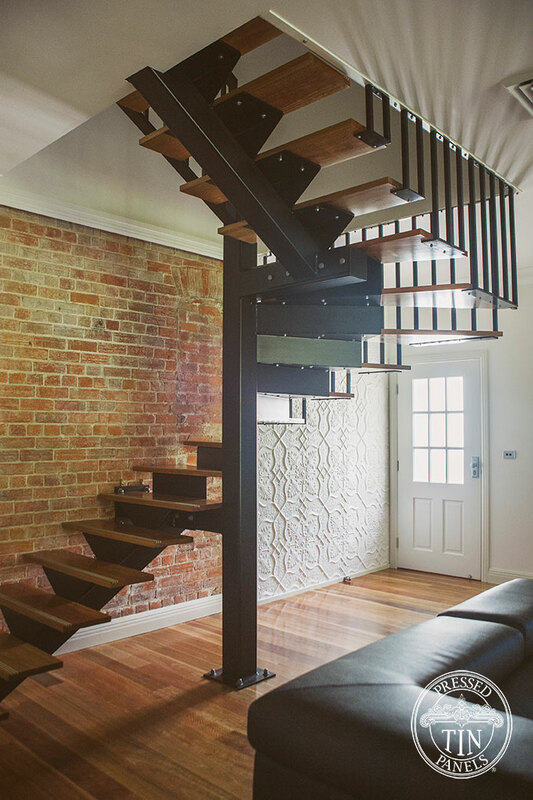 The story above was taken and adapted from the Bathurst City Life feature published 2017.